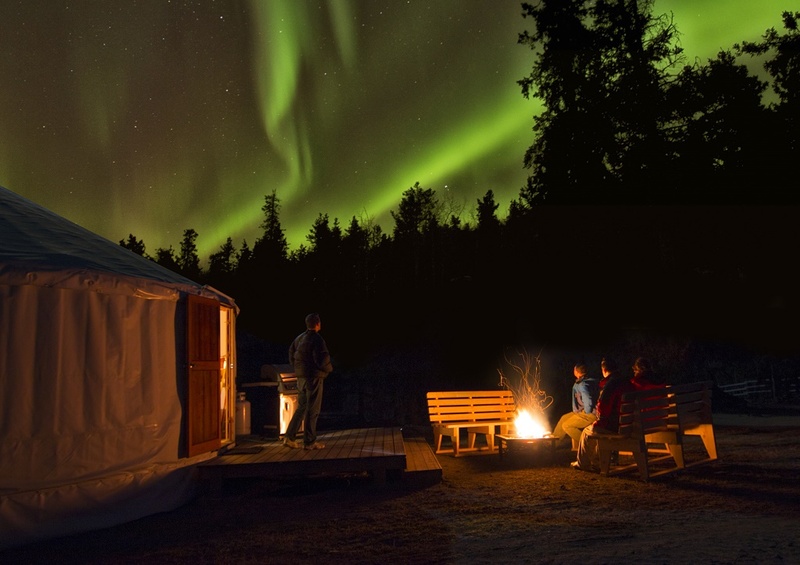 Yukon Aurora Getaway – The Great Canadian Travel Co.
Soak in the magic of the Aurora Borealis from this perfectly secluded spot! 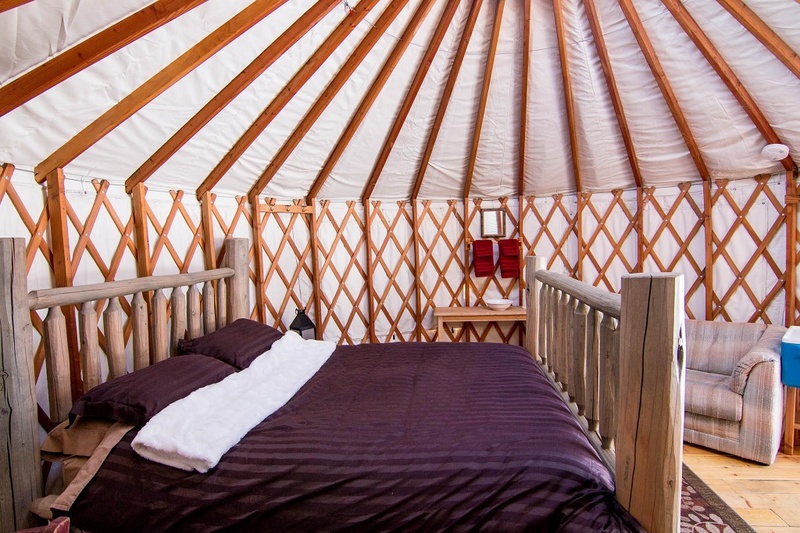 You’ll stay in a unique, cozy Fireweed Yurt situated on a rise in a clearing, far, far away from any light pollution, with beautiful views out over the valley and surrounding majestic mountains. Prices are shown as starting from prices, per person, in CA$, based on two people sharing a twin room. 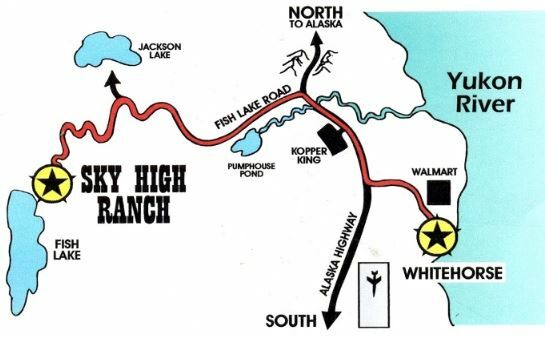 Sky High Wilderness Ranch is your chance to get out and experience the beautiful wilderness that is the Yukon! There’s no better way to ease the stresses of everyday than to switch off those mobile phones and soak in nature’s beauty. We have limited cell service, so put an ‘out of office’ reply on your emails and forward your phone to voicemail, you’re going to spend some time getting down and dirty with nature! Our Ranch is located on the shores of Fish Lake and is surrounded by majestic mountains that are waiting to be explored by you! We have a unique and cozy Mongolian Yurt situated up a small rise in a clearing, far, far away from any light pollution – with beautiful views of the valley behind the ranch. This is the perfect secluded spot for you to spend a long weekend soaking in the magic of the northern phenomena that is the Aurora Borealis!! 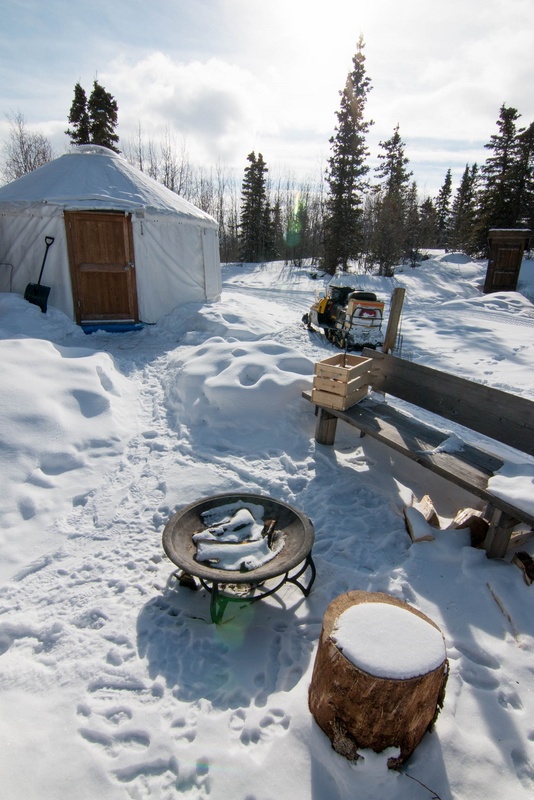 Your Fireweed Yurt is equipped with cooking facilities, a Queen sized bed, your very own private fire pit and 5 star outhouse! Upon Arrival in Whitehorse you will need to buy supplies at the grocery store – we can pick up at the Real Canadian Super Store 1.5 hrs after your flight arrival giving you time to take a cab down town and pick up any groceries (The store is happy to keep your bags at customer service). Afterwards we drive to the Sky High Wilderness Ranch, 20km South of Whitehorse. You’ll be taken to your secluded getaway to settle in. Tonight is the first night you get to hunt for the beautiful Aurora (unguided)! Light a fire in the pit to keep yourself warm and take a short hike up the ridge to the perfect vantage point. There’s even a bench for you to sit and wait for the magic to happen! Your view here is spectacular, and when the lights are out prepare yourself for quite a show. to the spot on the ridge, or stay by the fire tonight. Where ever you are – keep your eyes to the sky! 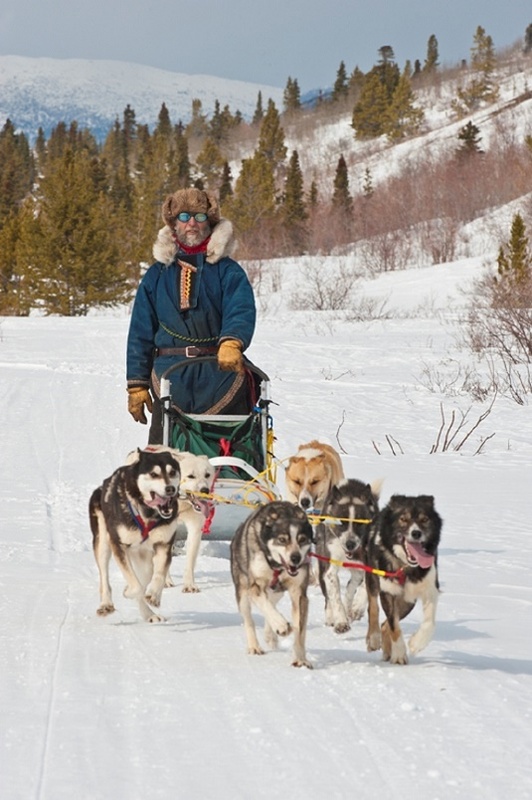 The Dog sledding adventure is challenging but a relaxed, fun activity! We supply you with the best equipment possible and teach you all the important aspects of mushing. To participate, you must be healthy, enjoy working with dogs and have a good team spirit. Dog sledding is a comparable physical activity to cross-country skiing, so you should be in relatively good physical shape. Today, enjoy another sleep in to recover from last nights Aurora excitement. This afternoon we turn up the pace and take you out on a guided snowmobile tour! You’ll share the machine and take turns at the much loved motor sport of Yukoners all over. Now that you’ve experienced the best of the Yukon in such a magical place, store those memories and take them back for friends and family. This afternoon we’ll take you back downtown to your hotel or the airport. We say goodbye and hopefully you’ll be back another day to experience the adventure all over again! Spend a night or two in Whitehorse before or after your aurora tour. We can arrange for your accommodation for the number of nights you wish to stay, on request.